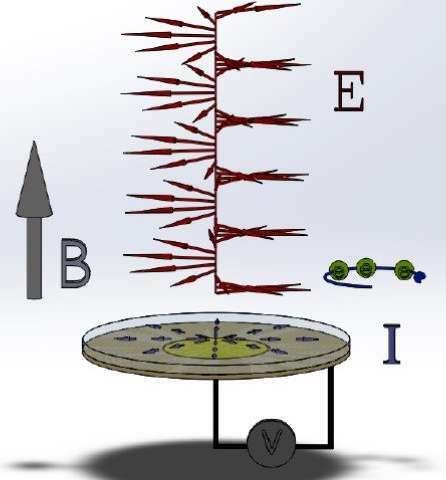 The movement of thousands of electrons underlies electronics. Yet, ubiquitous as electrons are, the particulars of their behavior continue to stump physicists. One phenomenon has proven especially puzzling: how electrons move under the influence of polarized electromagnetic waves. Polarization occurs when waves such as electromagnetic or light waves rotate. Electromagnetic fields called microwaves have a rotating electric field that turns clockwise or counter-clockwise, and most theories predict that microwaves will affect the rotation of electrons. 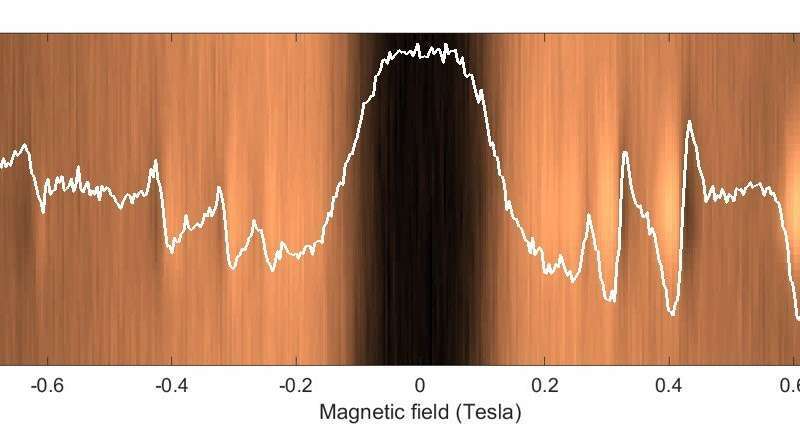 And yet, experimental studies have shown that electrons seem to be unaffected by microwave polarization. These theory-defying results have long perplexed physicists. 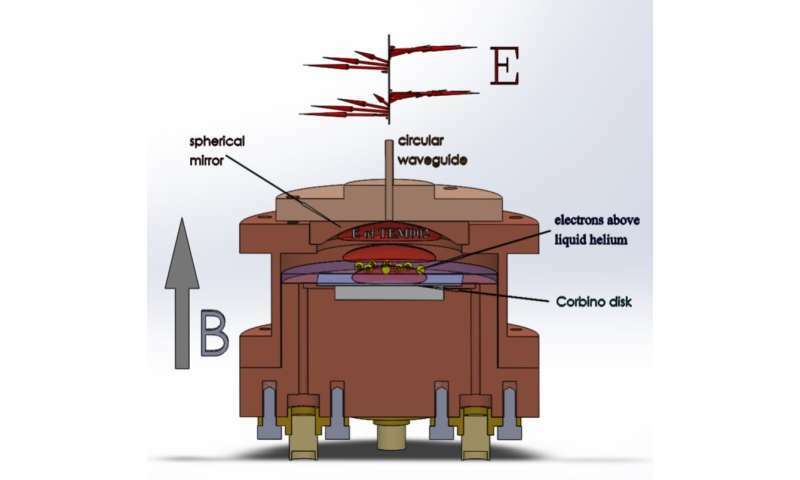 In previous experiments, the electrons' movement was studied in solid-state materials such as semiconductors. But these materials contain impurities that are impossible to eliminate and that can interfere with results. So the researchers created a system that closely mimics the function of a semiconductor by using liquid helium. It consists of electrons on the surface of liquid helium enclosed in a vacuum chamber and cooled to temperatures close to absolute zero—roughly -273 Celsius. "Nothing is ideal in a solid state," said Konstantinov. "That's why our system is nice—now we can eliminate all these impurities and defects." Helium possesses a unique ability: it remains a liquid, even in temperatures reaching absolute zero. Meanwhile, any other compounds (impurities within the helium) freeze, clinging to the walls of its container. At such low temperature, the electrons at the helium's surface become "quantized"—the motion of electrons perpendicular to the liquid is "frozen out" into a two-dimensional space, said Konstantinov.